Discover Wallington, home to generations of the unconventional Trevelyan family. Visit the magnificent estate where politics and play came together in the heart of Northumberland. Cragside, the dream home of Lord and Lady Armstrong – a Victorian house that was light-years ahead of its time. The home of hydroelectricity, Lord and Lady Armstrong used their wealth, art and science in an ingenious way. From meeting the animals to venturing indoors to admire Thomas Bewick's original collection, this little beauty has plenty on offer. Take a seat outdoors and enjoy a picnic, see a printing demonstration, release your inner Bear Grylls or visit the bees at the hives. Newcastle’s Theatre Royal is one of only 9 Grade I listed theatre halls in England, the city’s theatre is often regarded as the finest theatre building in the country. Durham Cathedral is one of the great buildings of Europe. Set grandly on a rocky promontory next to the Castle with the medieval city huddled below and the river sweeping round, the profile of the World Heritage Site is instantly recognisable to people travelling up and down the East Coast Main Line. A visit to Life is a great day out for the whole family in Newcastle upon Tyne! 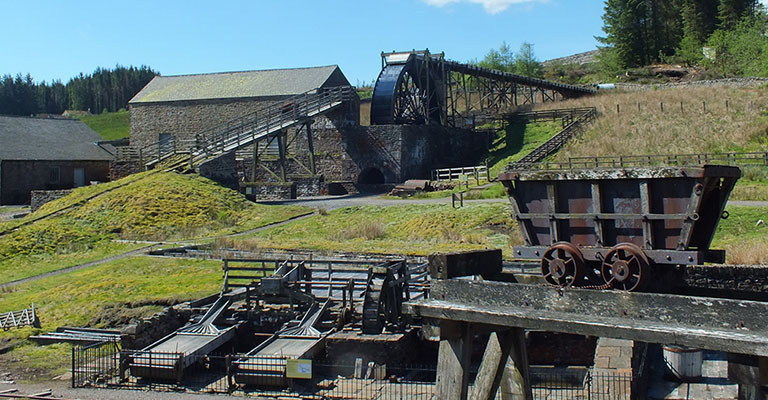 Killhope is a multi-award winning 19th century mining museum in the centre of the North Pennines Area of Outstanding Natural Beauty, where you can experience the life and work of the lead mining families of the North Pennines.